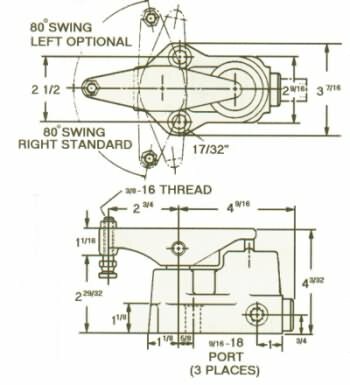 Jergens Swing Clamps are designed to swing 80° away from the workpiece to allow easy accessibility for part insertion or removal. Swing Clamps may be used in any attitude. The clamping arm may be positioned to swing either to the left or right by repositioning one cap screw. The right hand swing is standard. Clamp arm has 1/4" of vertical travel.